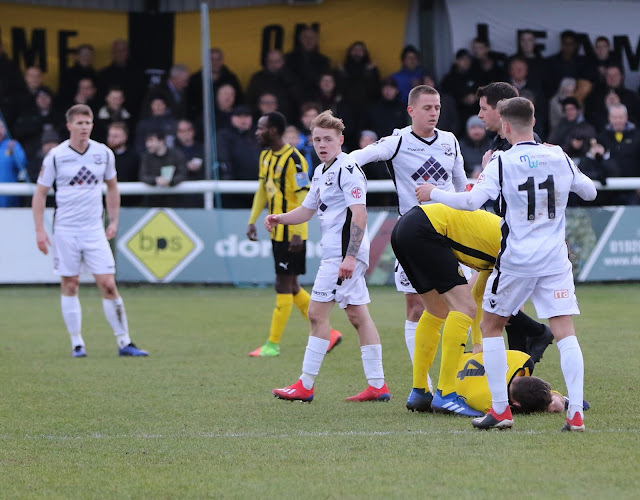 Hereford FC loanee James Waite will miss three games following his red card at Leamington last Saturday. He was carded when his arm caught a Leamington player. He will miss games at Ashton United, FC United and at home against Darlington.